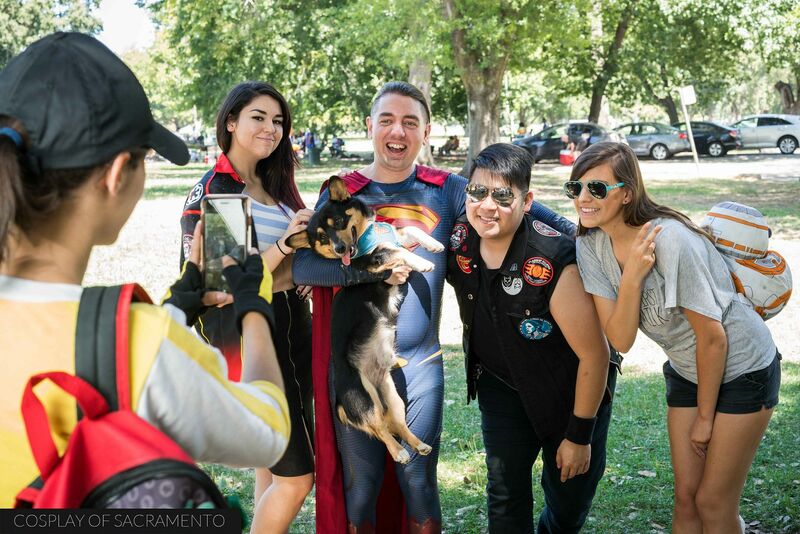 The summer Central Valley Cosplay Gathering (CVCG) took place this past Saturday at William Land Park in Sacramento. Of all the gatherings that happen, this has got to be my favorite. It's always fun to see familiar faces and just have a great time hanging out in a beautiful environment. 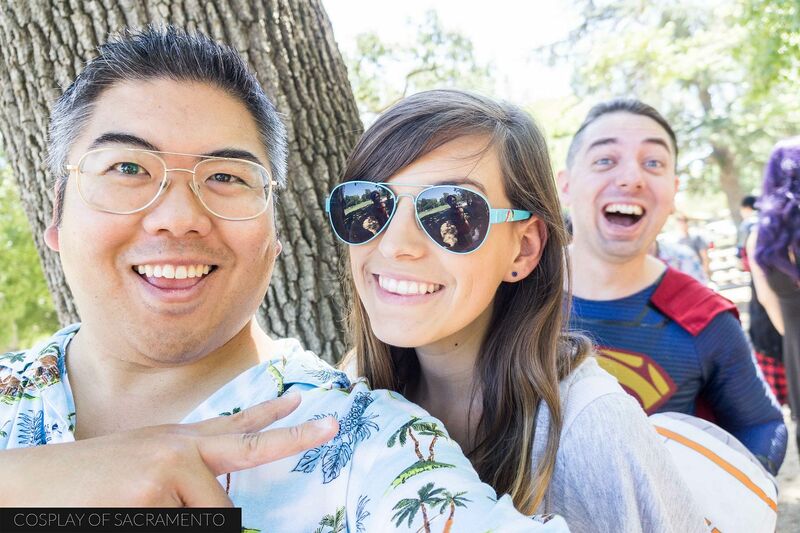 It's summer time here in Sacramento, so that means super hot weather... but thankfully there were plenty of trees to shade everyone from the sunlight. I can equipped with my lighting set-up and cameras. 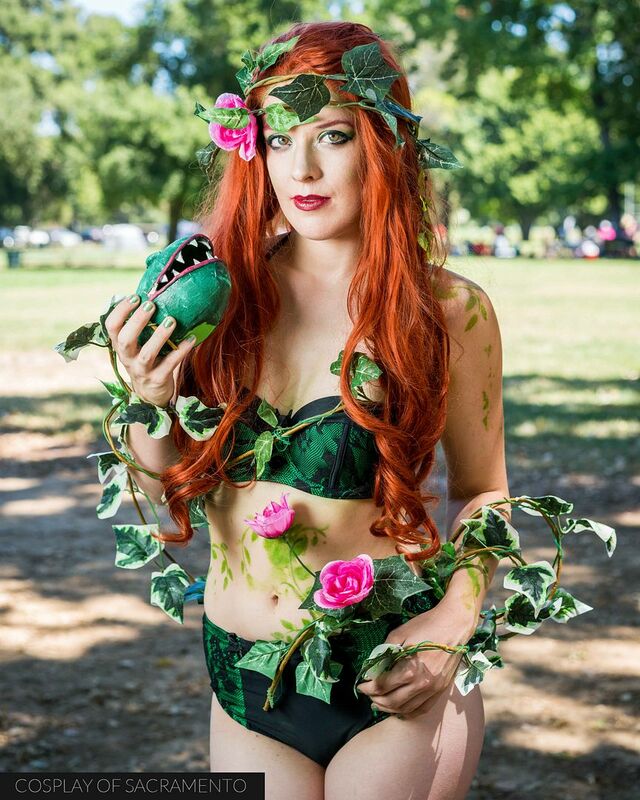 The shot above is of Jedi Moon's Poison Ivy. She was my very first shoot of the day, and I loved the photos we were able to get. I also got to shoot with Radioactive Night Skies. We've shot together many times, but less recently as she has moved out of town. This particular shot is a favorite of mine, but one that I didn't use my lighting set-up. I think this shot still came out great. Shooting natural light is always a lot easier, but I'm trying to discipline myself into doing more flash photography. Sean's been bringing his dog Chewie out more often recently! That's been cool as Chewie has been getting into the cosplay game as well. 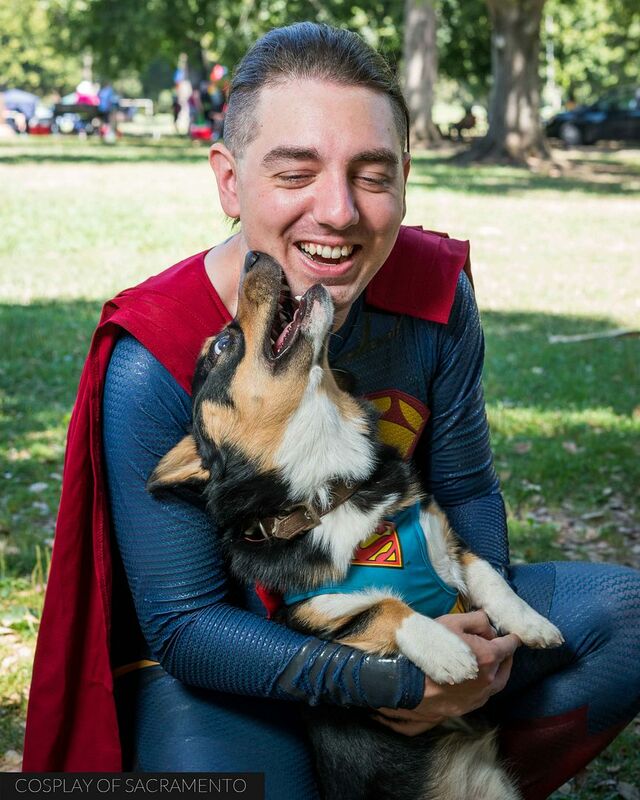 I mean... you see a dog in cosplay... you just have to capture it in a photograph. We sat down and did a few photos together. They turned out SUPER! For the second CVCG in a row I forgot to bring my ultra wide angle lens, so instead of standing in a traditional place to get the entire group, I got a little closer and chose to find a different angle. This particular shot is the 'funny' group shot where everyone is pointing to Matthew (one of the organizers of the CVCG). Lots of pictures were taken that day and a lot of connections were made. I really love the CVCG and hope it continues on for a long time. 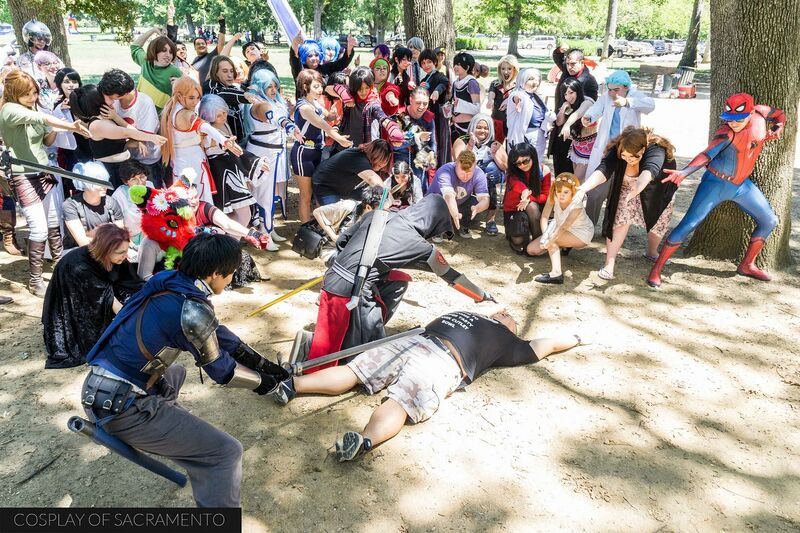 Events like these offer a more relaxed atmosphere for people to cosplay and hang out. For photographers like myself, they also provide an environment to try out different photography techniques. I had a blast at the gathering. If you'd like to see my complete gallery of photos from the day, CLICK HERE. 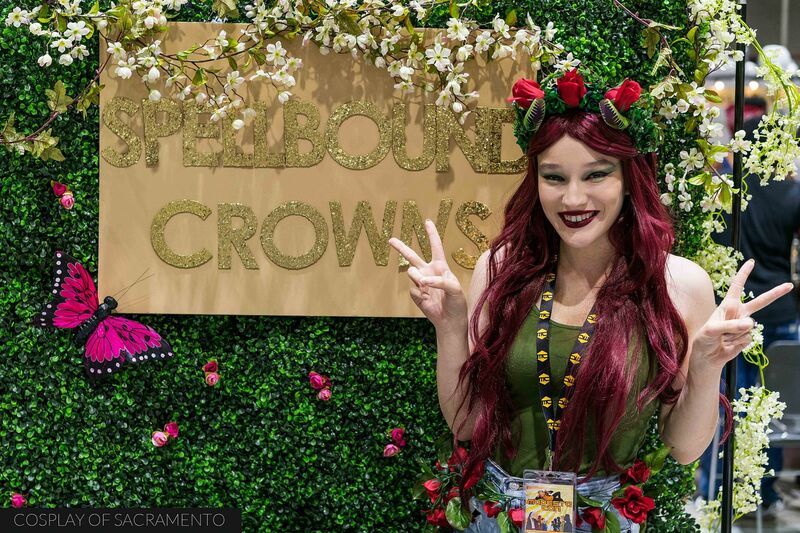 The summer is quickly winding down, but there are a few more events up on the horizon to look forward to such as Stockton Con and Summer SacAnime. Hope to see everyone out at those events! 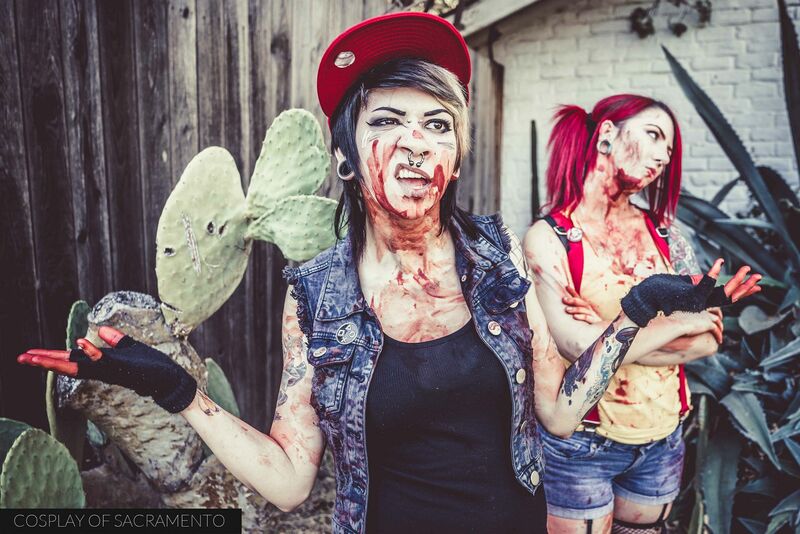 This past Friday I got together with jessakidding (IG) and madamgoregasm (IG) for a very special themed shoot. 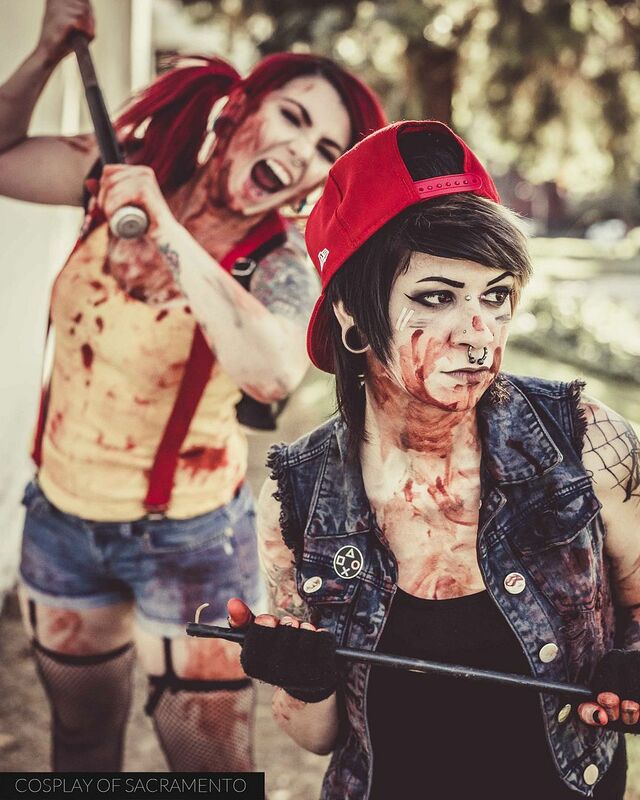 We would be capturing images of their Ash and Misty cosplay with... BLOOD!!! This shoot would definitely be darker in mood and tone, so I went with a very stylized look for my photos. I hope you enjoy this unique take on these characters! Jess suggested shooting in midtown Sacramento so we met up there in the late afternoon/early evening. The weather was absolutely perfect for a photoshoot. I quickly spotted a wooden wall near us and thought that would compliment the look of our theme nicely. Our first shots were taken in front of it. Though we were in the middle of the city, the look takes you into the woods a little. 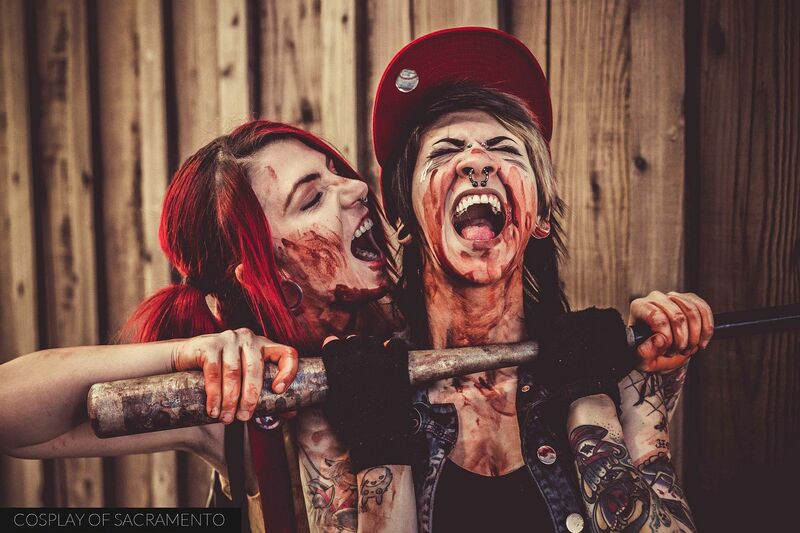 These girls were not afraid to get a bit violent! That blood had to get there somehow! Many of the shots we took were images of one attacking the other in various ways. This was definitely in the sinister realm of Pokemon! 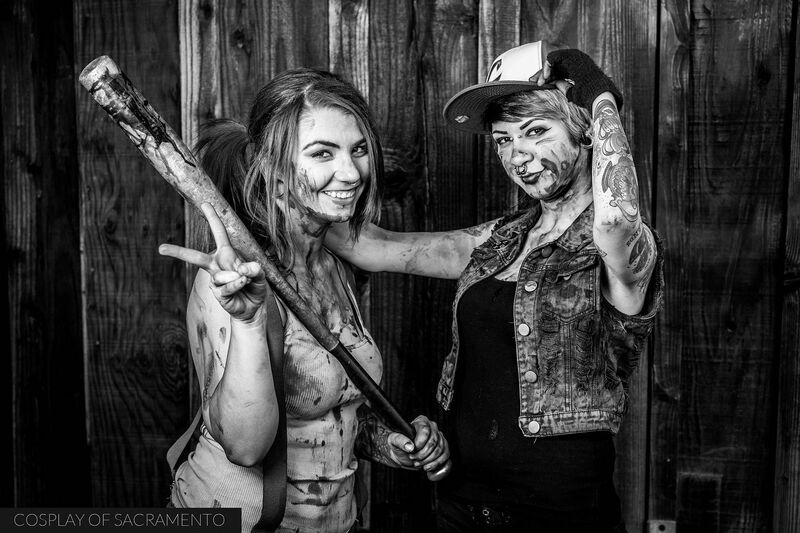 Jess brought this beat up old aluminum baseball bat for a prop. It's grungy look complimented the photos we did nicely. This particular shot was obtained by using the Sony a9 camera. I've been using it for a while now and have been loving it. 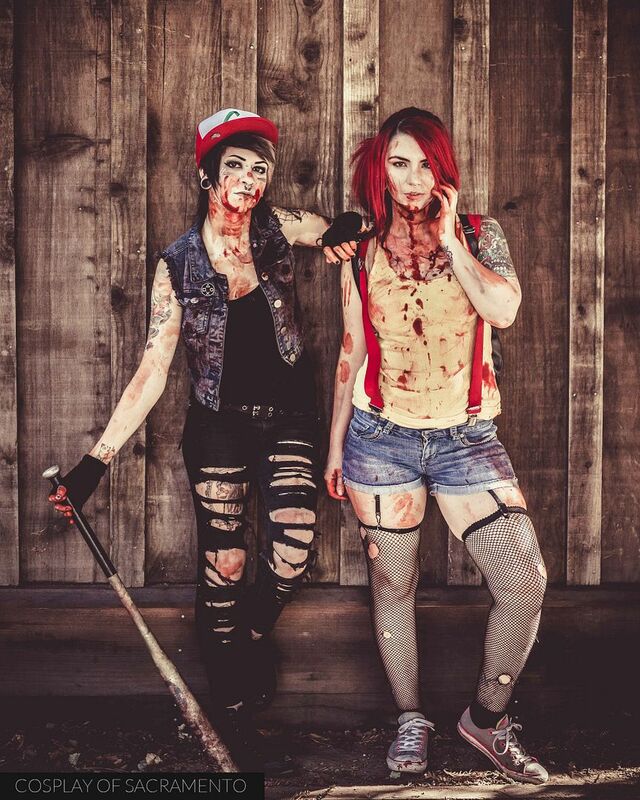 For this photo, I set the camera for a very high frame rate and had Jess jump towards Ash with the bat. There were a lot of frames to choose from, but I liked this one the best. It's awesome when a camera can shoot lots and lots of frames so that the photographer has the choice to find their favorite image from the burst. Besides the violent pics, I wanted to do some sillier ones as well. In the cartoon, Misty gets mad at Ash quite a bit. I wanted a photo of Misty being mad while Ash is like "What the ****!" I loved the expressions the girls were able to make for these types of photos. And to balance out some of the silly photos I also got a few that were more sensual... well... as sensual as blood covered could get. 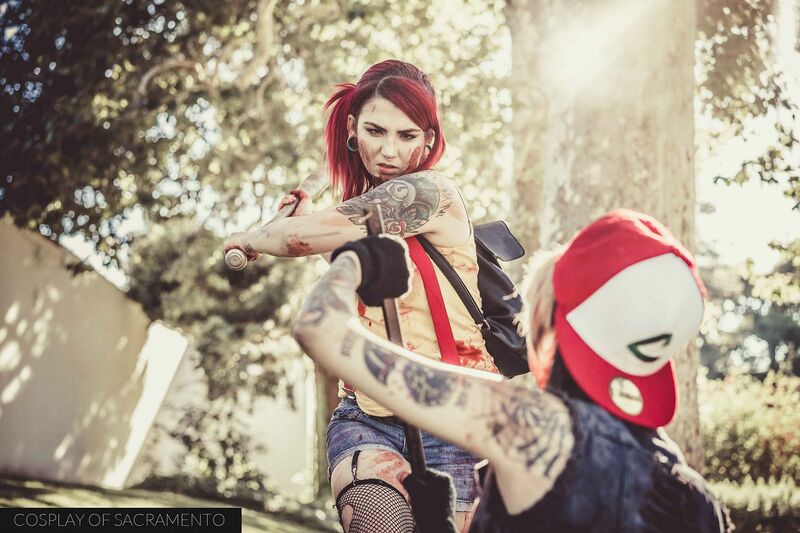 Here's a great pic of Misty trying to cozy up to Ash with no luck whatsoever. Again, both the expressions that these girls have are absolutely perfect! To finish off the shoot I did a few individual shots of both girls. I chose to do one set in natural light and the other with my new flash. The photos I took in natural light were processed with the same type of look as the other photos in the shoot. For the flash photography, I decided to forego my stylized editing for a brighter, more contrasty feel. The colors are bolder, and I like this look as well, but I felt the previous editing techniques were great for the overall theme. All-in-all the shoot was a lot of fun. I loved working with both girls on this shoot and would do it again in a heartbeat! If you enjoyed the photos here on this blog post, I suggest checking out all the rest of the photos in my gallery. CLICK HERE to see the full set! 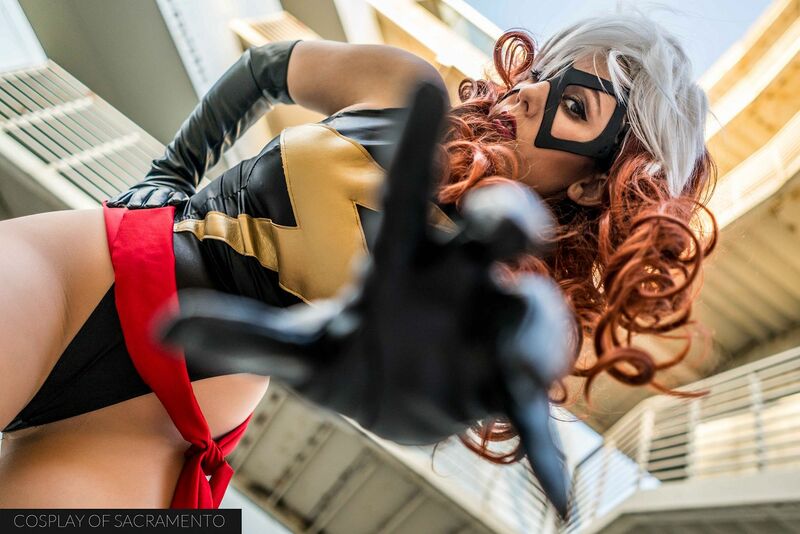 The second ever Modesto Con took place this past weekend and I was on hand to check out all the festivities. 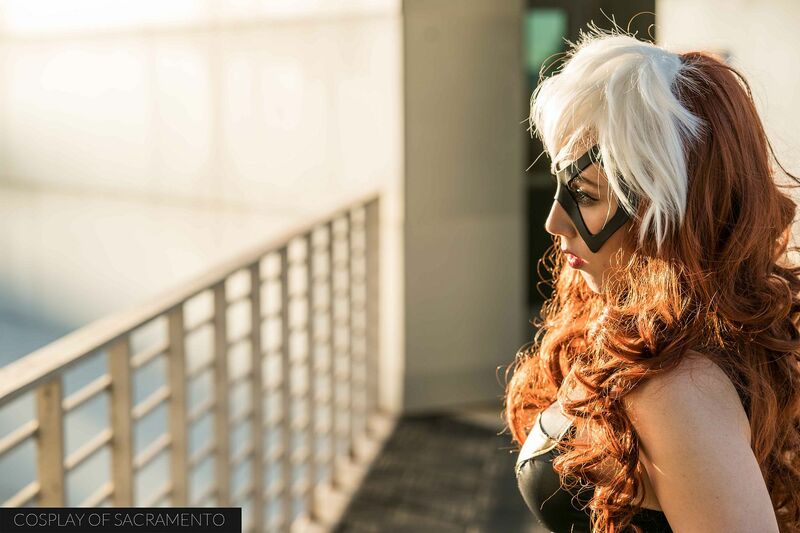 I remember enjoying Modesto Con last year and this year I was reminded why. It's a well-organized event that is great fun for all ages. A lot of thought went into this convention so that all who attended had plenty to enjoy. Though Modesto is a bit of a distance from Sacramento, I'd wholeheartedly recommend coming to Modesto Con. It's that good! It was a pretty warm day on Saturday, but the plaza out front was filled with people hanging out, entering the con, and taking photos. A lot of cosplayers came to Modesto Con, some with some very unique parts to their cosplay. 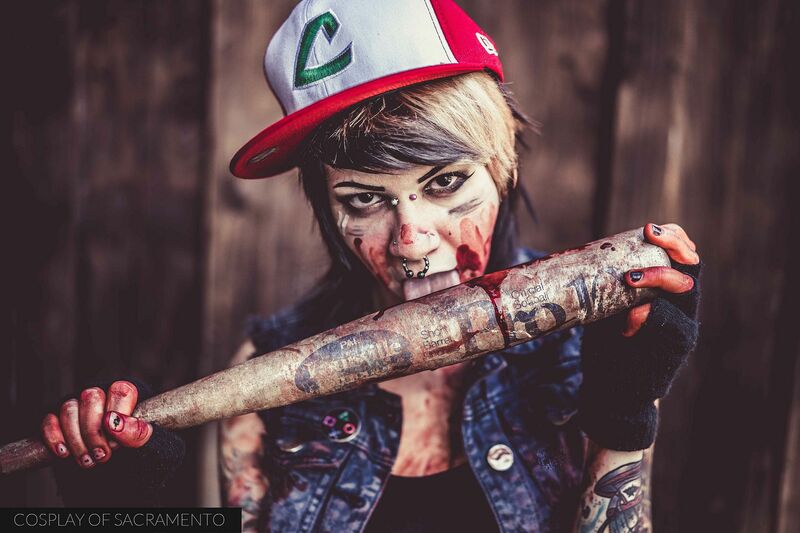 Check out this amazing Dragon Ball Z cosplay. 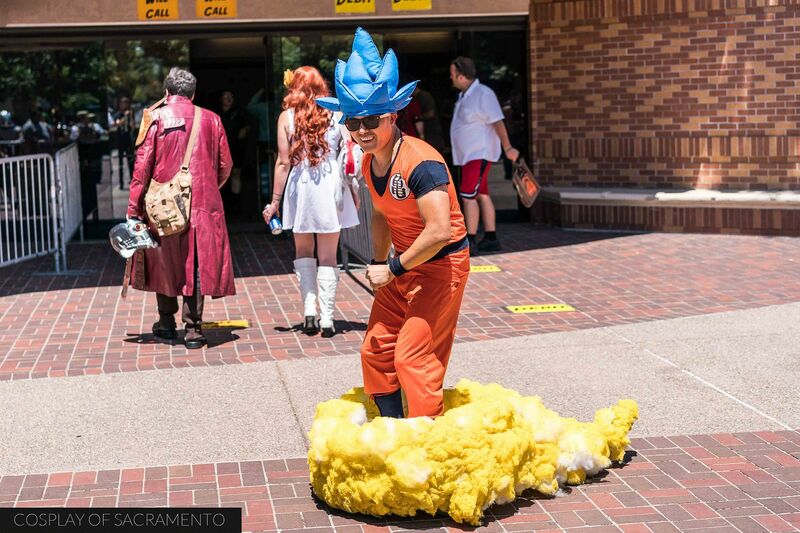 His cloud was motorized and he was zipping in, out, and around the con! A number of special cosplay guests were inside the con at their tables. It was great seeing Jedi Moon Cosplay hanging out with an assortment of cool things on display. 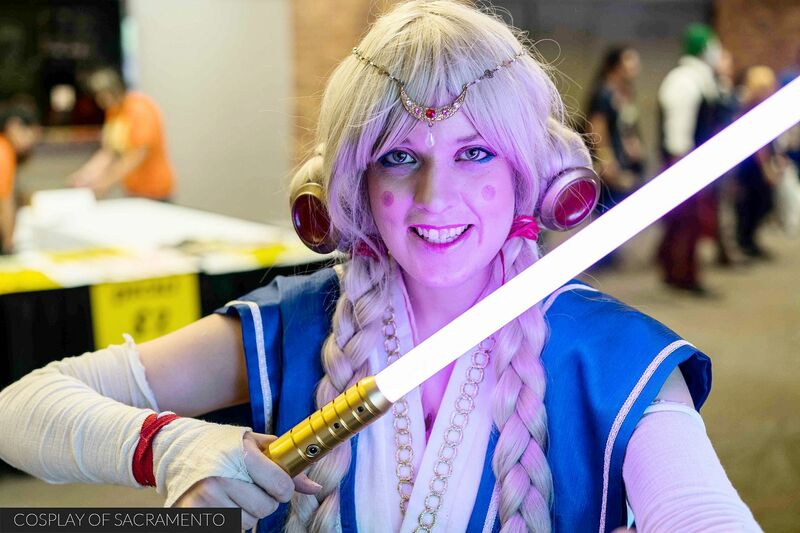 She was in her signature Sailor Moon-Jedi mashup that she is well-known for. We got to catch up a little at her table. The main concourse of the convention center had this great brick wall that made for a very nice backdrop. With the right lighting settings, I was able to get it to look like a night scene in an alley. I did a few shots with Cammie and Trent on this wall. I always find it amazing how you can use lighting to transform the look and feel of different environments. Nobody could probably tell this was inside a well lit room full of convention goers! It was a great surprise to see Necikait at a dealers booth in the main dealers hall. You've seen plenty of my pics with her on the site already, but here's one as she's helping out a friend's crown store. The dealer hall had a good amount of items to see and buy. A separate large room held the artists alley, so the two combined made for a very large area to walk around and browse. Thankfully, both rooms had the AC cranked so everyone inside felt comfortable away from the scorching summer heat. If you went downstairs, you'd find Modesto Con's games area. This area held both video games and board game/table top games. 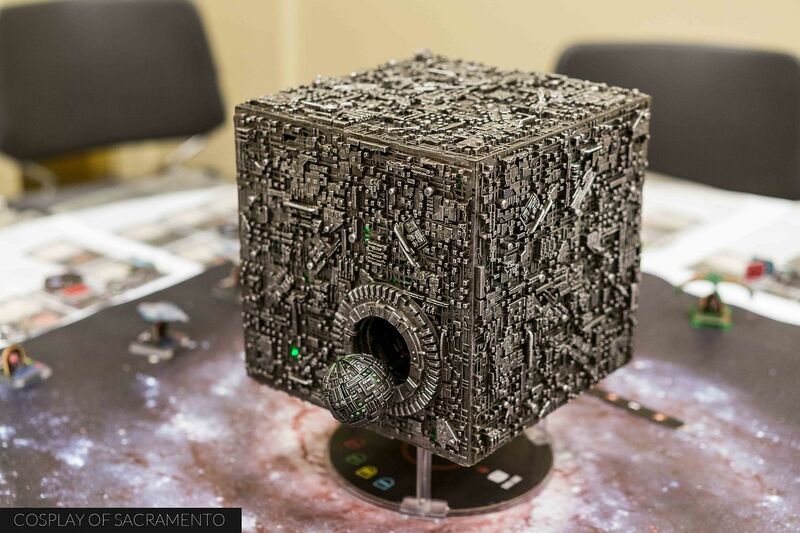 This Borg cube piece really stood out to me. People who were interested in Star Trek could sit and learn how to play this strategy game. As the day went on the game room held more and more people competing with each other. Video games were very popular to play in the game room. Many folks brought their own controllers to play against other con attendees. Most of the games at the con were modern games on the Playstation 4. Quite a few screens were dedicated to Tekken and Street Fighter matches. If you love fighting games, this was the place to be. 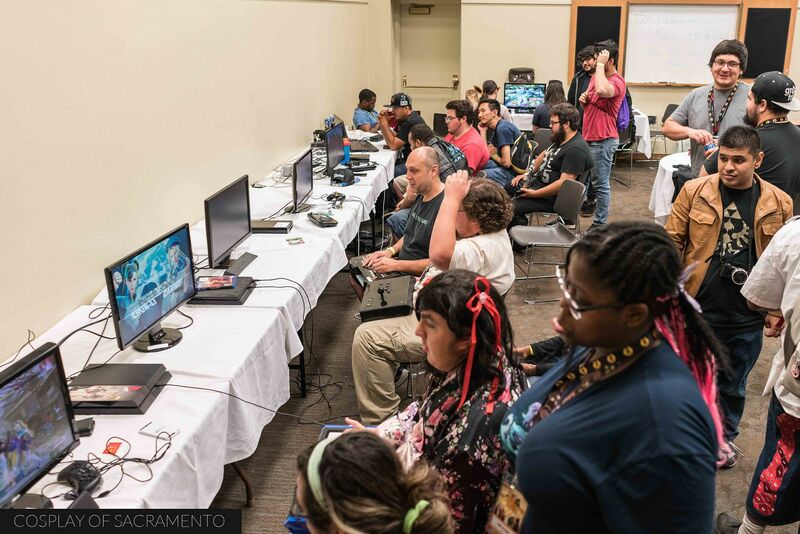 You could literally spend the entire con here taking on different people. Now this is something I don't see at many events... free water! 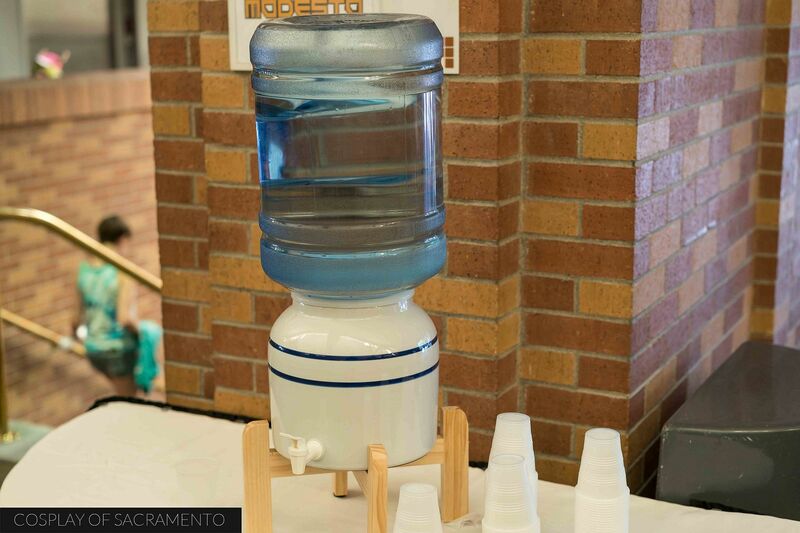 Sure, there may be drinking fountains at some large meeting centers, but Modesto Con had these water stations scattered around the convention area for people to get hydrated. The stations had plastic cups so that they could take the water and go. I thought this was extremely considerate, a class A move by the organizers! Round of applause for this for sure! I have to say that this year's Modesto Con was a blast to attend. I really enjoyed the entire atmosphere here. 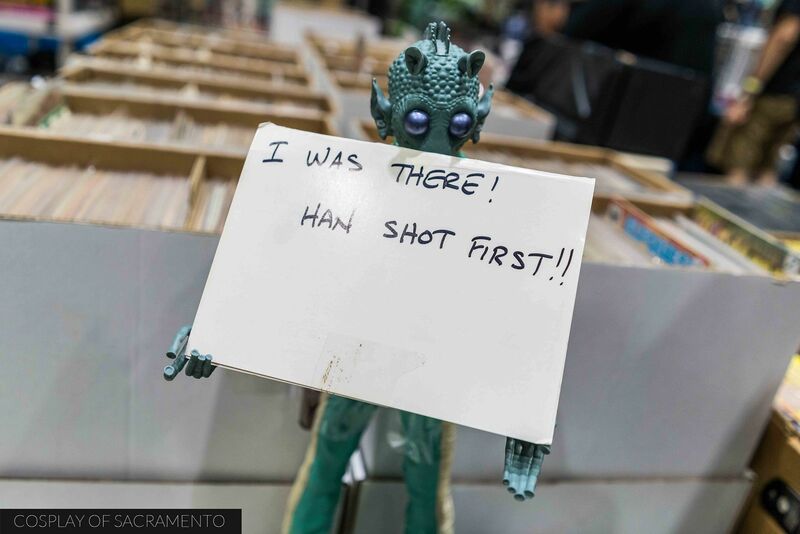 Though Modesto Con was pretty well attended, I think even more people should come and check it out in the future. This year the con was a two-day event, but I was only able to participate in the first day. Maybe next year I'll be able to do both! We'll see! 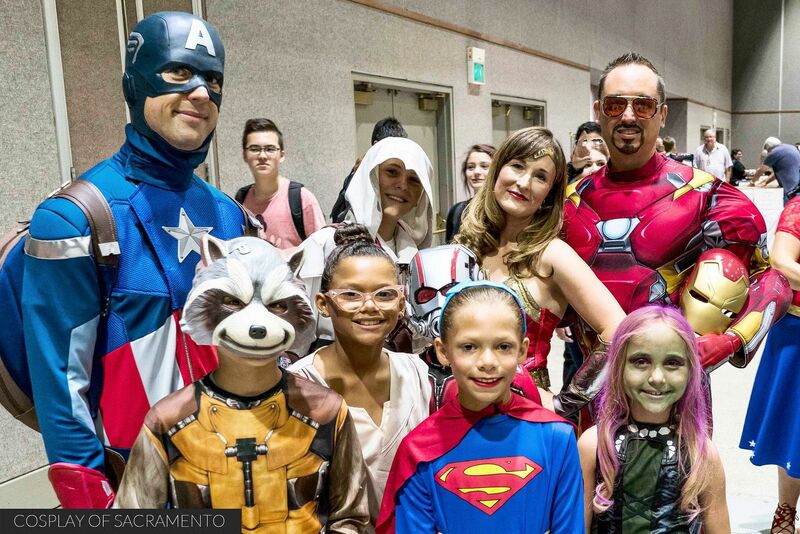 For a full gallery of pics from Modesto Con, CLICK HERE. I'm glad I finally got together with Ghost Peach (@ghostfrills on Instagram) for a shoot last week! I had actually met her last year during Wizard World, but we only just got together to collaborate. 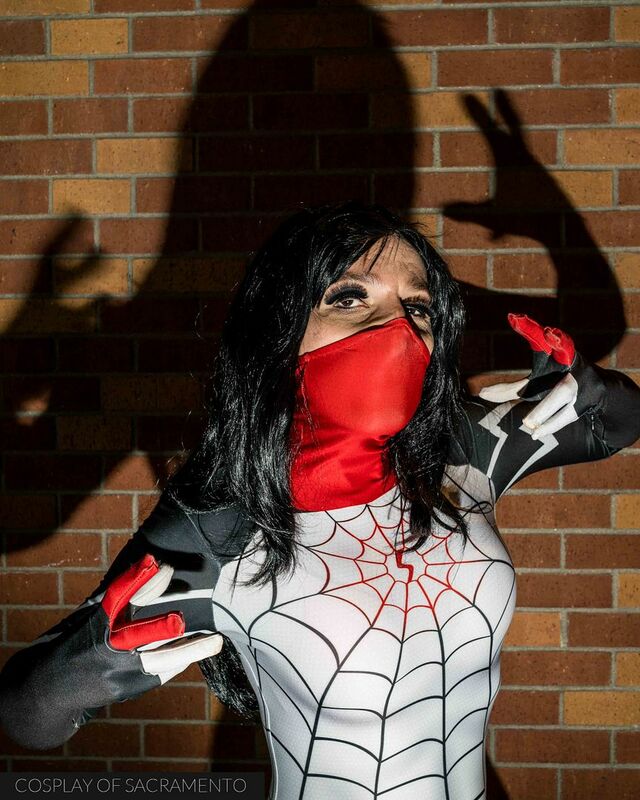 She donned a sweet retro Rogue wearing Ms. Marvel's costume cosplay for our session. I am a huge fan of 80's and 90's X-Men so this was right up my alley. The location of our shoot was once again on the UC Davis campus at the 'Death Star'. There's not a lot of urban going on in Davis, but this location has some architecturally interesting locations so I chose to come here. It was early evening during the golden hour so we had some great light to take photos in. All the photos were done in natural light on my Sony a9. I still don't have a flash unit for the Sony system yet, but I'm itching for one! You may recognize the location in this photo as I love to come here. There is just so much going on in the background in terms of perspective. This is definitely one of my go-to's when I'm out here shooting. Ghost Peach's cosplay was handmade. 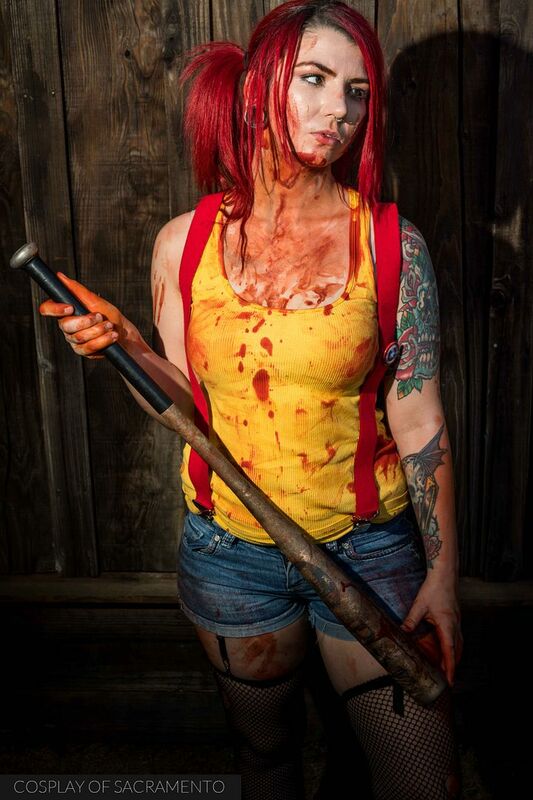 It's always awesome when the cosplayer puts in the time and effort to really create their cosplay. For this shot, I wanted to get some unique perspective as well. I was lying on my back looking upwards as I snapped this one. This is just the first in many collaborations I think Ghost Peach and I will be having. We've already scheduled our next shoot, so I'm excited to show those photos to you when they are done. I highly recommend subbing to her Instagram (@ghostfrills) to see what kind of cosplay she has in store in the future! CLICK HERE for a full gallery of this photoshoot.